Here are just some of the printed paper bags with twisted handles we’ve made this week. 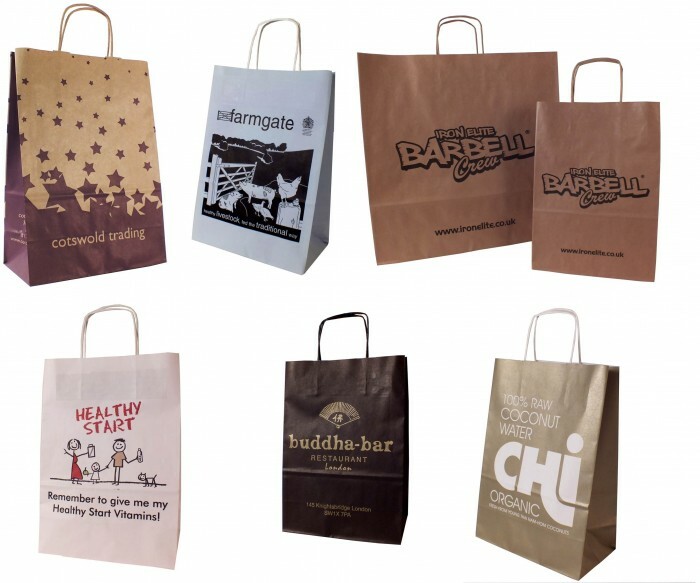 Versatile, strong and stylish yet still easy on the environment, printed paper bags are everywhere. From garden centres and farm shops to gift boutiques, bars, restaurants and universities, the paper twist does the job. Paper bags are fully recyclable and made from FSC certified kraft paper. Our paper bags come in three set sizes, 260x130x360mm, 320x130x420mm and 450x130x460mm, so there is a size to suit every need! After something smaller? We also offer teeny paper bags with external flat tape handles, click here to see them. Interested in getting some for your shop? Please contact us!